14 Oct 1955 - 1 Jul 1970 Part of West Pakistan province. Province to Ministry of Kashmir Affairs. 1 Jul 1970 Federally administered Northern Areas created. 4 Jan 2008 Devolution package grants autonomy. 7 Sep 2009 Renamed Gilgit-Baltistan. 19 Apr 2010 Renamed Khyber-Pakhtunkhwa. becomes West Punjab province of Pakistan. 7 Jan 1950 West Punjab renamed Punjab. 1988 Spelling changed from Sind to Sindh (confirmed 19 Apr 2010). West Pakistan (the "One Unit"). 24 Feb 1960 Future capital site is named Islamabad. 14 Jun 1960 Islamabad Capital Development Authority (CDA) created. 14 Aug 1967 Islamabad becomes the capital of Pakistan. 1 Jul 1970 Islamabad a centrally administered area. parts of North-West Frontier Province and Punjab. and part of Sind province. 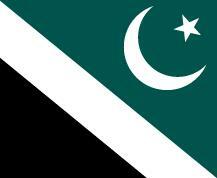 1 Jul 1961 - 1 Jul 1970 Part of West Pakistan province. 1 Jul 1970 Part of Sindh province. 1951 Tribal Areas of Darel and Tangir accede to Pakistan. 14 Oct 1955 - 1 Jul 1970 Part of the West Pakistan province. western parts of Dera Ismail Khan and Peshawar districts. 1 Dec 1973 Bajaur and Orakzai agencies added. control to the Khyber-Pakhtunkhwa government is signed).